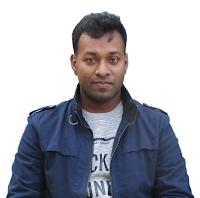 You know it is awesome to do blogging with Blogger and you also know it is the greatest way to generate money extra by publishing ads on the blog. Google AdSense is the most popular ads network. It is very true that there have no tricks to approve Google AdSense fast for Blogger but if you follow the approval guideline in right way, your application must be approved. And really, it is very easy. So don't be scared. You must have an own site. You and your blog or website must have complied with Google AdSense Program Policies, Terms & Conditions. Your blog or website should be active at least six months. The blog must be in supported languages. 5 tips to approve Google AdSense application fast. It is recommended by Google AdSense to publish unique and interesting posts on your blog before applying. It will help your request to be granted. To make your blog more trusted and reliability you must About, Contact, Terms & Condition, Privacy Policies pages with much content. You can create the new page from Blogger Dashboard → Pages → New Page. Make your blog responsive, clean & fresh design. You must focus on its user interface. Don't use the exaggerated background colors. Put Menu bar. Remind, your earning depends on advertisement impression, action. So that, you must emphasis on engaging with your audiences and so why focus on content quality, readability. Publish informative, useful content. It is the most important to approve fast. Don't apply directly. 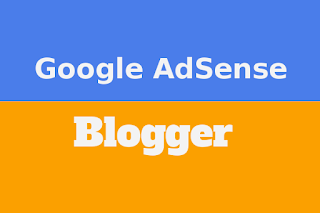 To apply for AdSense with Blogger go to Dashboard → Earnings → click on 'Sign up for AdSense' and provide the information correctly. If you follow this process you will get hosted AdSense account within 2-3 days. There have few limitations on this account. One of them is you will not publish your Ads on your different website or blog. If you want to do this you must have a non-hosted account. Read how to apply for non-hosted AdSense account in a right way. My application for non-hosted account had been approved within 15 days. I hope your application also will be approved very fast. Details: How do I use AdSense with my Blogger blog? If you need any help to get Blogger AdSense Approval fast, comment below or you can get help from Official AdSense Blog, Google AdSense Forum. Welcome to ComProMath, Daniel !